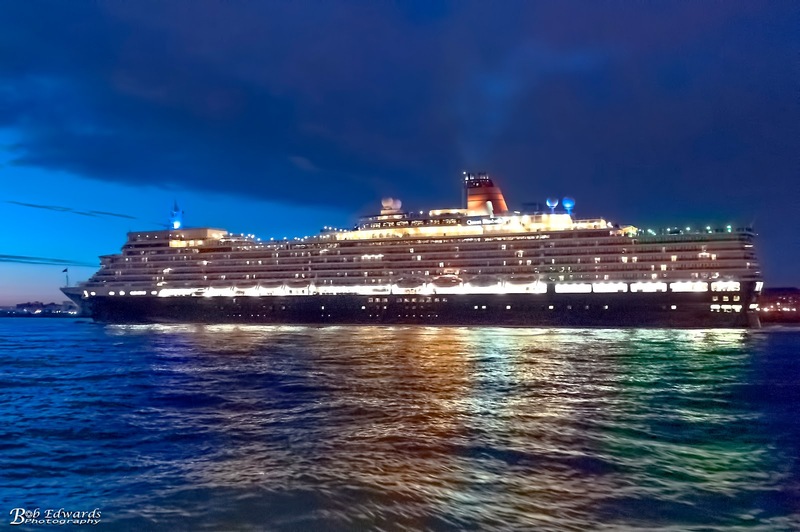 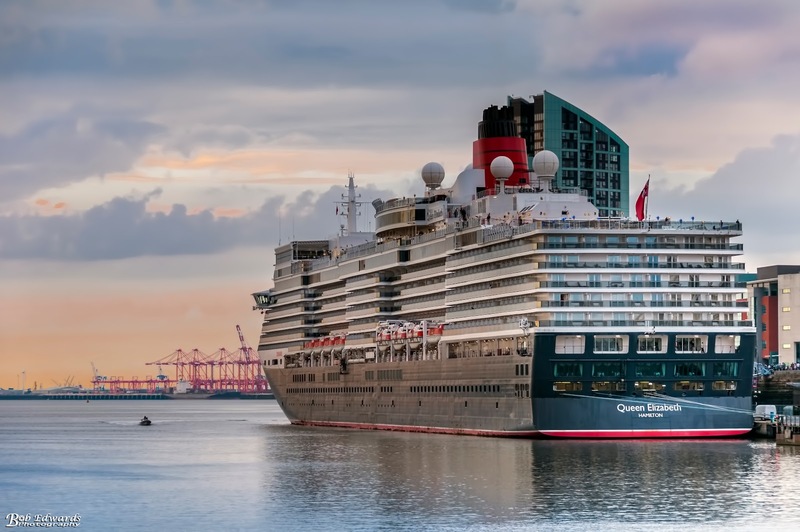 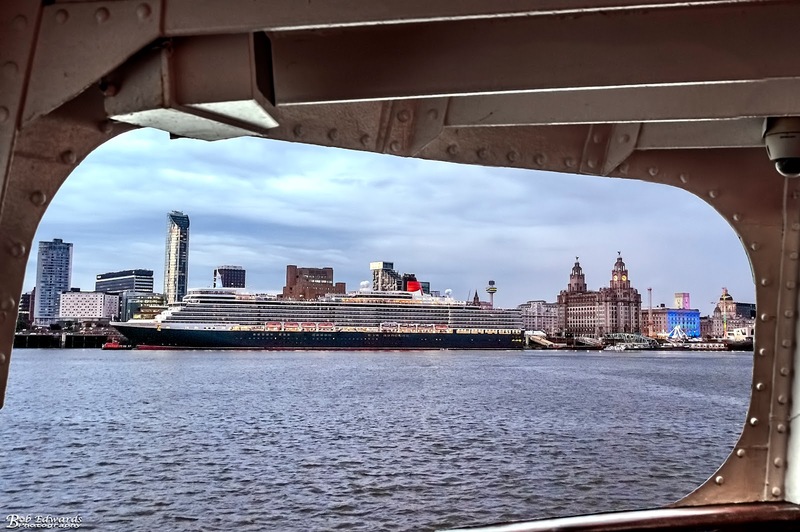 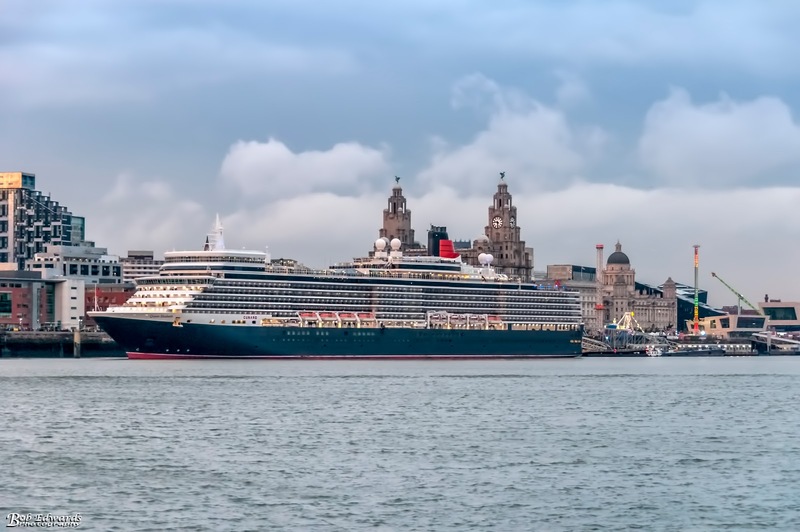 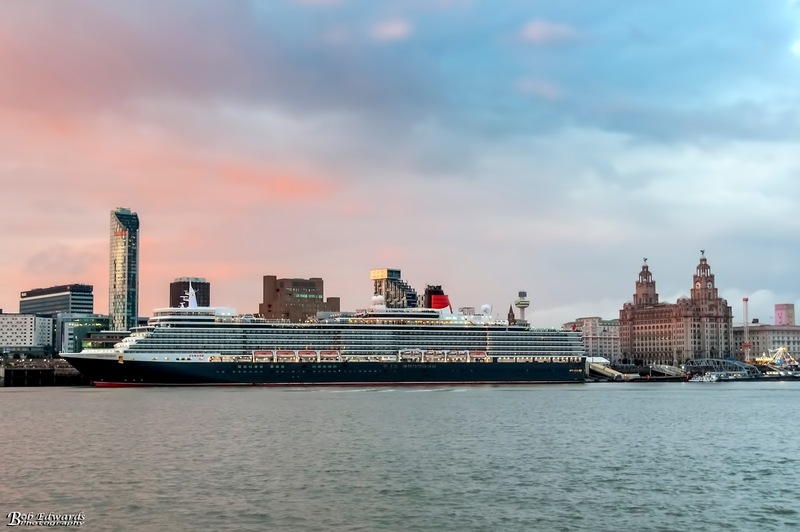 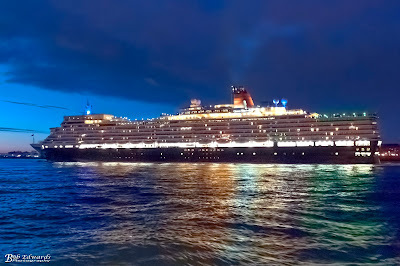 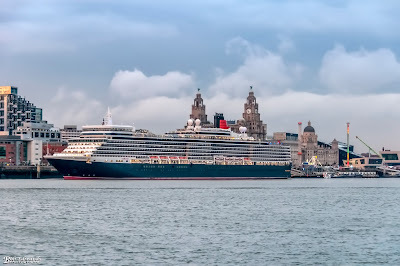 The majestic Queen Elizabeth Cruise Liner was on the River Mersey once more as she returned to her spiritual home on Tuesday 11 July. She was berthed alongside Liverpool Cruise Terminal from approximately 10:30am until 10:15pm. 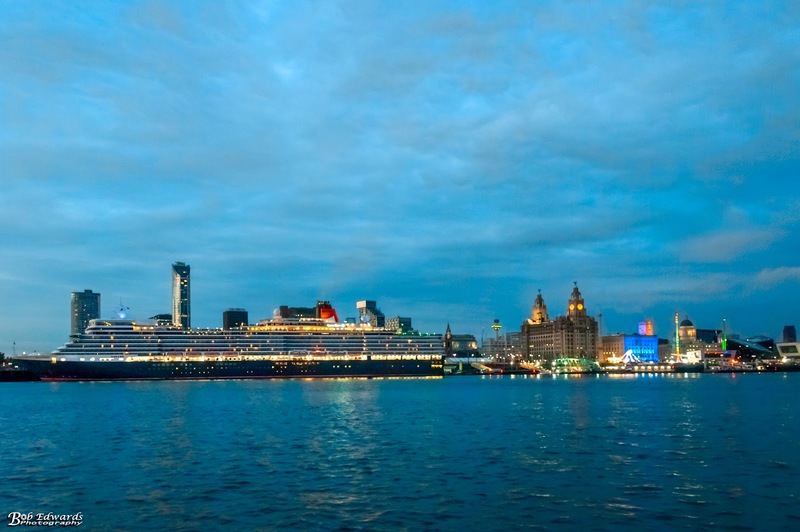 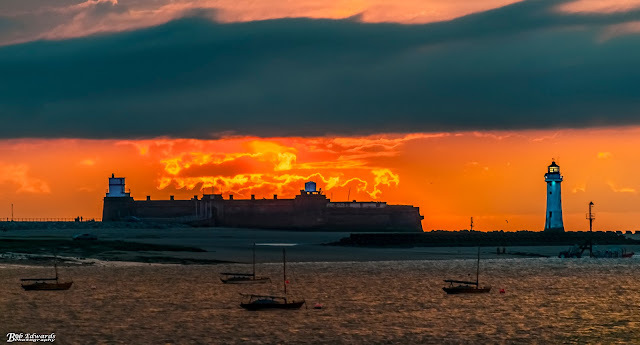 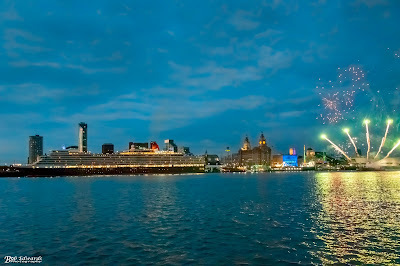 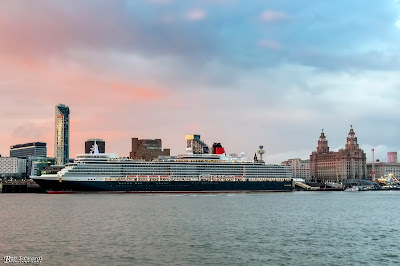 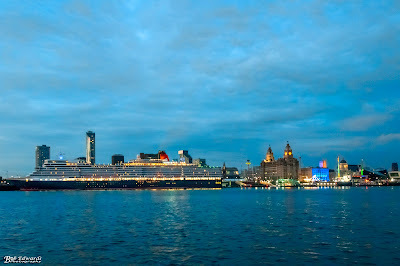 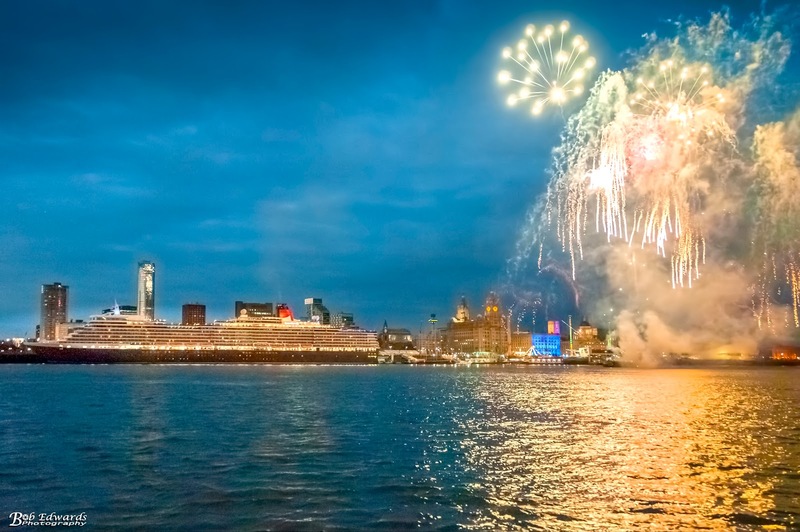 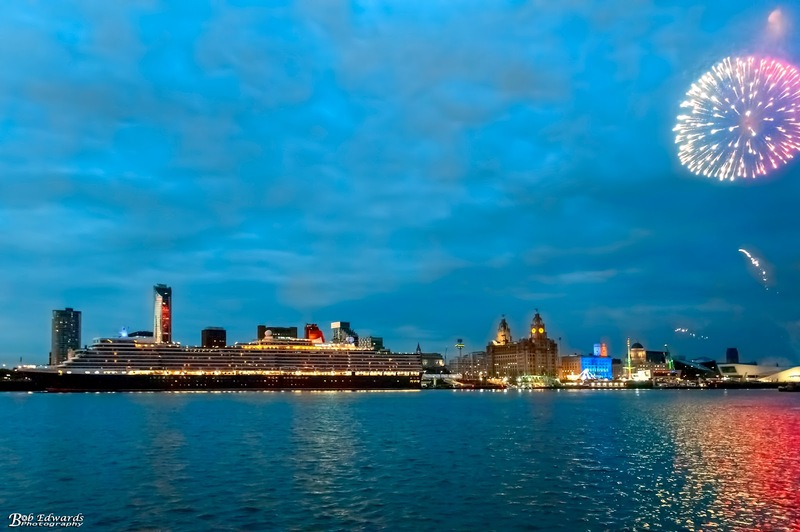 Cunard was founded in Liverpool in 1839 and the city was home to their Head Office for nearly 130 years. 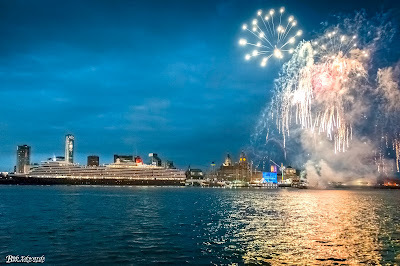 It was Cunard’s QE2 that officially opened Liverpool Cruise Terminal on Friday 21 September 2007. 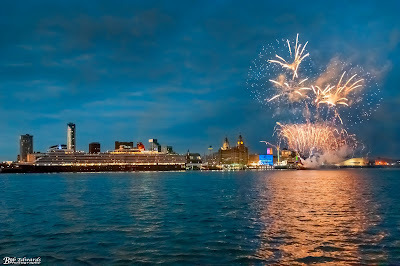 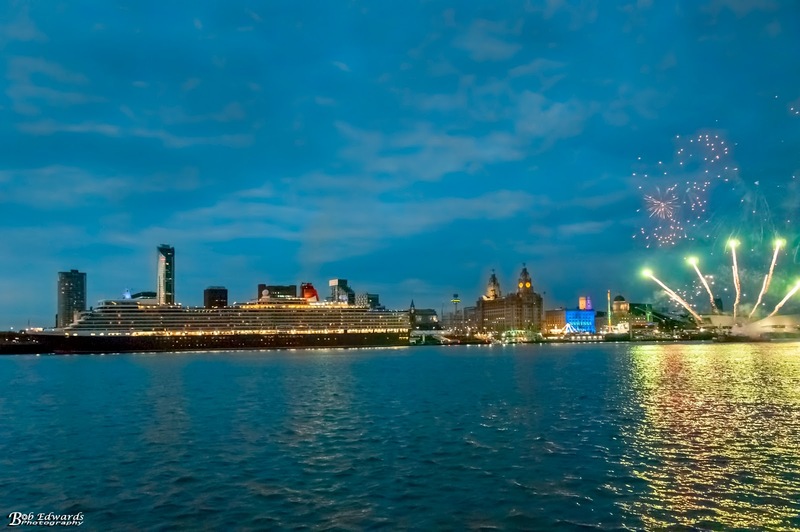 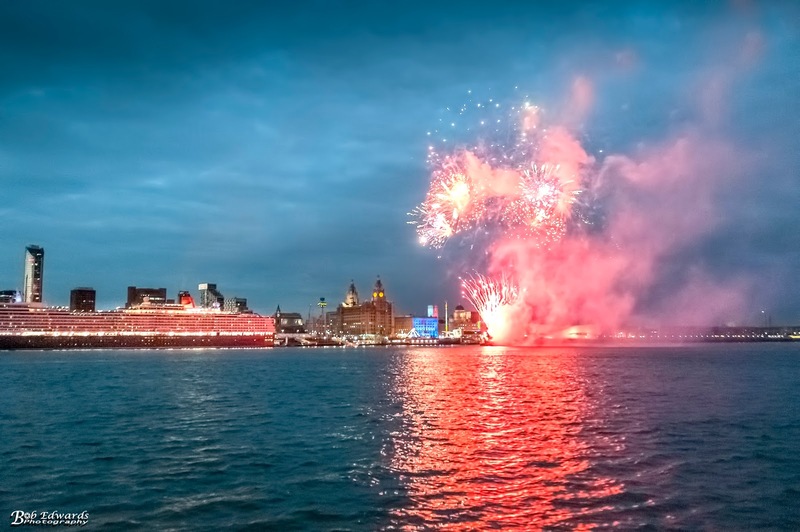 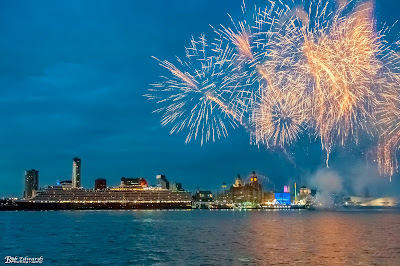 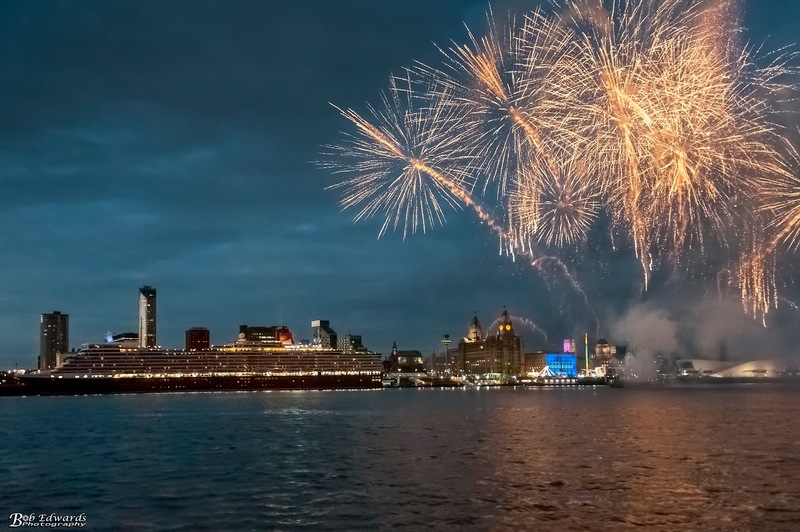 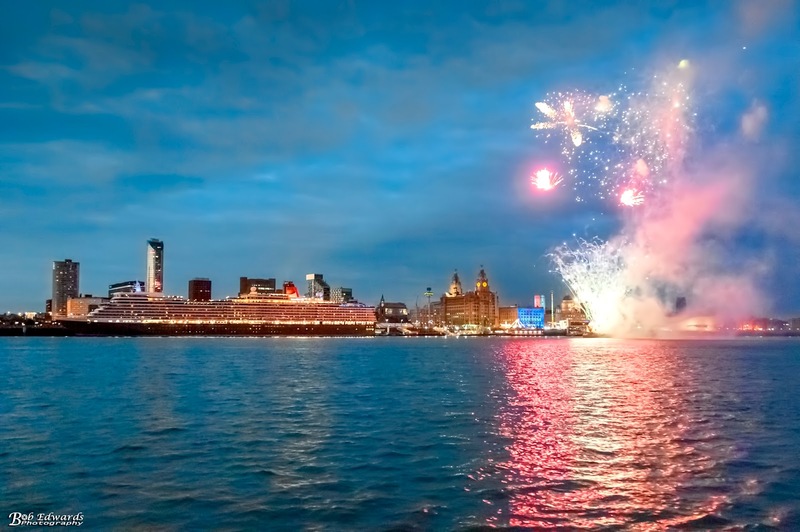 To mark the Cruise Terminal’s 10th Anniversary a mid river firework display was organised prior to the ship’s departure at approximately 10.15pm. I was on board the Mersey Ferry Snowdrop to photograph the event.